Minimalism is perfectly executed in this travertine fireplace surround. The Light Oriental travertine stone brings warmth and simplicity to the design. This fireplace features a mitered corner design and unique curved hearth. 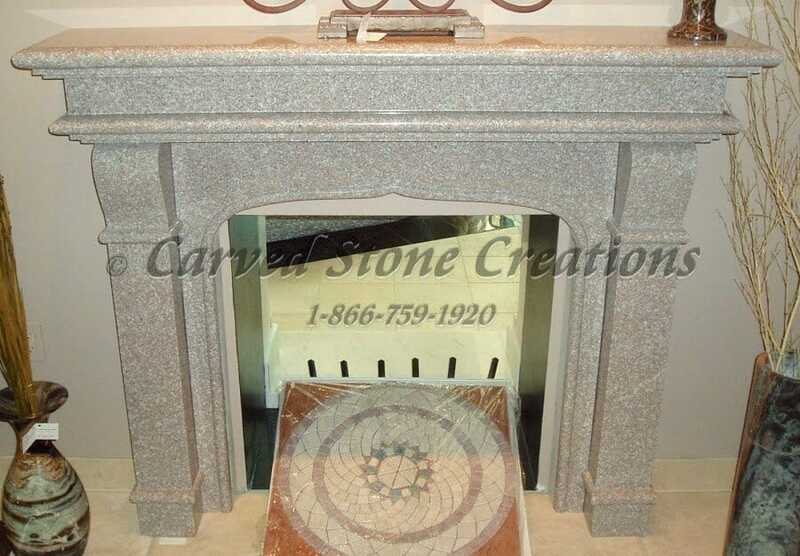 This polished Wild Rose granite fireplace will fit into an elegant room. The clean lines coupled with simple classical details, including an arched surround and corbel leg columns, are carved by a skilled artisan for a one-of-a-kind piece. 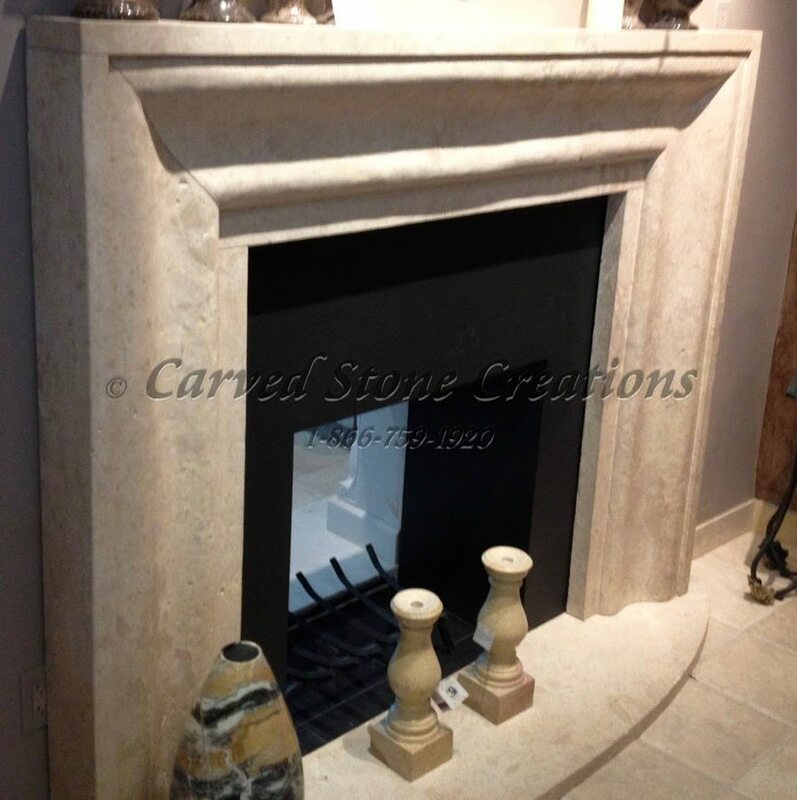 This beautiful earth-toned fireplace surround is handcarved from Coffee Brown marble and polished to perfection. The unique natural stone features beautiful cream-colored veining throughout for a breathtaking result. The simple mitered corners of this surround top off this contemporary design. 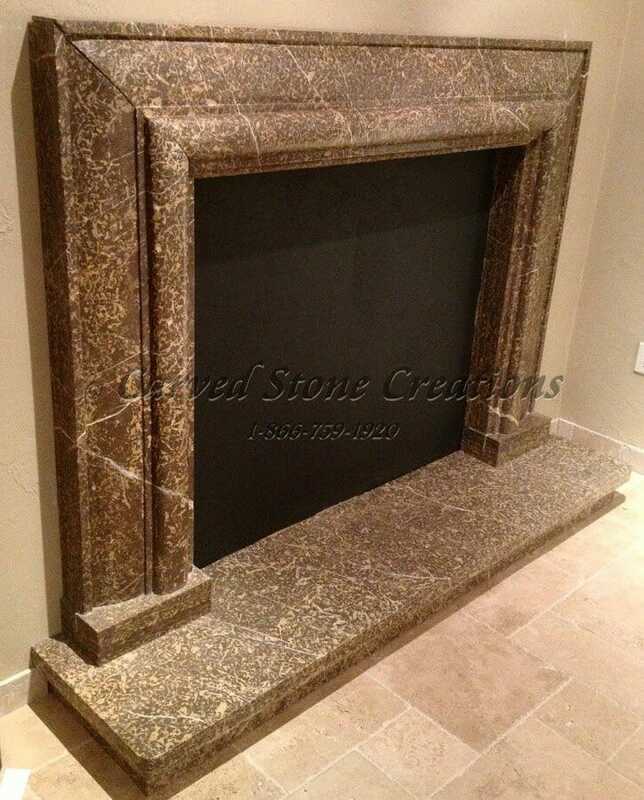 If you are interested in adding one of these simple stone fireplaces to your home, contact us.